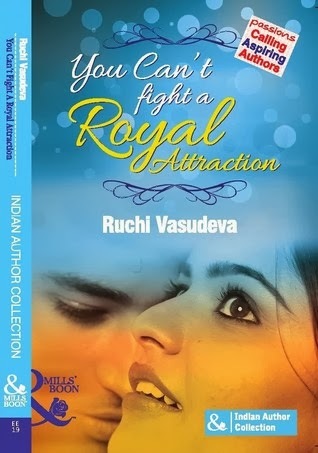 Ruchi Vasudeva is a doctor by profession, a teacher by vocation and an author by destiny. 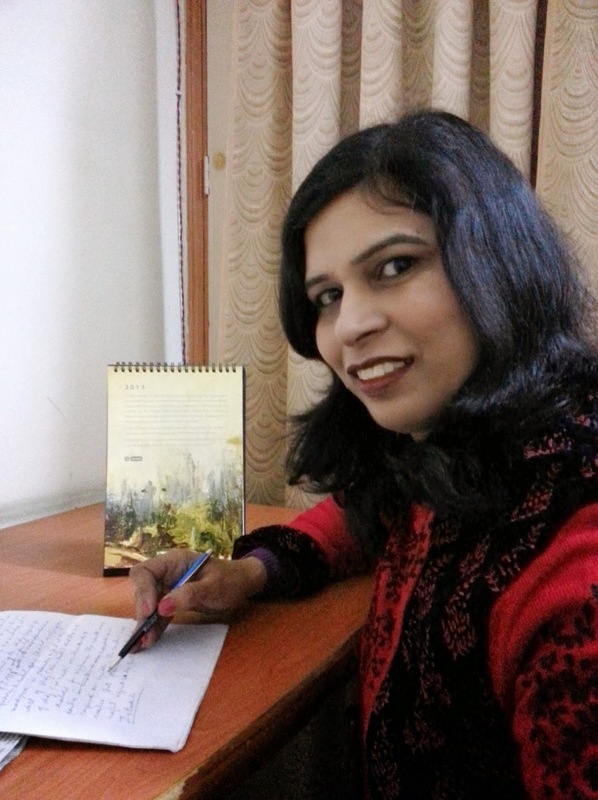 The writing bug has long resided in her and a contest held by Harlequin for Indian authors gave her a golden opportunity to have her dream realized. She debuted in August '13 with her book 'Bollywood Fiancé For A Day'. She writes romantic fiction with conflicted characters who come into their own in their quest of reaching out for love. She loves to write about spirited heroines getting hurtled out of their daily life as soon as they cross paths with their rather challenging heroes. She keeps busy juggling writing with her medical job and family life with her doctor husband and two wiser-than-thou teens. When not bent double over the laptop, She might be found with her nose in books or munching nachos at the movies or glued to the telecast of Team India or Chennai Super Kings in action. Sometimes She drags herself for walks and surprisingly discover they are rather good for brewing story ideas! We Being Bookworms team are delighted to welcome her and I had a great experience knowing you and reading your work. 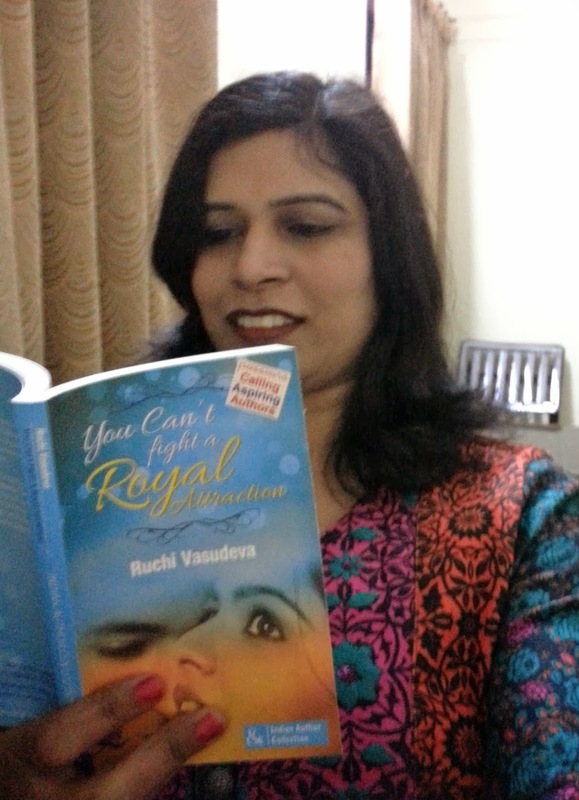 A review coming soon of Ruchi's books and I am happy to say that she is a wonderful writer, full of surprises and a very dear friend. We wish her all the best, waiting patiently for you other titles. Ans: Thank you for hosting this interview, Sufia. It's a pleasure to be here. Ans:Oh absolutely. Anyone who wants to write well has to be quite dedicated and determined. There is so much to learn. The craft of writing comes way before the art. So it's certainly not anything you can do just whiling away the time. On top of that, nowadays, writers have to learn about the publishing and marketing side, study the trends and genres. I'd say as a profession, it's quite demanding. Ans:In any profession, we have to begin low and go up. If one is willing to work hard, there is no harm in having ambition and I believe there is no lack of opportunity. But writing offers no time-bound progress as occurs in most other jobs. A book might take ages to sell while another book of the same writer might hit the charts as top seller. Don't expect miracles but be willing to swot, I'd say. Have goals like making your work the best it can be, rather than unreasonable expectations like winning awards with your first book. Goals make you more focused and productive. Ans:For most Indians the two are nearly synonymous. Bollywood films and especially songs ooze with emotions. I can't say exactly why I like to think of Bollywood as a setting. It's something that happens unconsciously; maybe because I have grown up watching movies like YC's Lamhe and others of that genre. Q7: You can't fight a Royal attraction is a sequel to your first book, usually a love story in Mills and boons end in a first novel only. What made you write sequel and telling Saira and Rihaan's love story? Can we expect another sequel to this story in future? Ans:It wasn't really a deliberate effort to make it a sequel. I was discussing ideas with my editor and she wasn't keen on the one I was suggesting at the time. So I put forward this tentatively because Saira's character had inspired me during the writing of Bollywood Fiance for a Day itself. My editor Kathryn loved it, so I went ahead and the book was formed. As for another sequel, I have story ideas in mind for Mia and also for Viren of the second book. But they're not always easy to chart out. Let's see what happens. Ans:Saira is young and spirited. She believed in love and married early, being a little headstrong. She is the sister of the first book heroine. The marriage didn't turn out well and now she's divorced and feeling hurt. She has no career and sees no direction in her life. At this point she meets Rihaan. Q11: Now to get published most writers are choosing the romance or chiclit genre, knowing this is widely read. Do you think a writer should write form the reader's point of view or write what he or she observes around rather than following the stereotypes? Ans:The hardest question to answer is what will sell well. I think writing to expectation can profit neither the reader nor the writer. An easy way to decide what to write is think of what you love to read. These days published works are very genre specific so if you pick your favourite genre, you'll know what comprises it and you'll find it easy to write for it. But one shouldn't be afraid to experiment if one has complete belief in the story. And certainly don't write romance or chiclit just because they sell good. Ans:I'm myself a relatively new writer so really can't presume to tell anyone anything. I can share what I have learnt and am still learning about writing. It's that for one thing, one has to know about the craft of writing. The story structure, the goal, motivation, conflict of the character must be properly charted out. I heard it said and will repeat here : there is no shortcut. You learn to write by writing and by having the attitude to learn. Don't be in a hurry to get published. Try to hone your skill. Take every rejection as a step to learning more. Q13: You won the harpercollin's short story contest, can you tell us something about it and how do you feel? Ans:The contest was an initiative of Indiblogger in collaboration with HC India. They asked for love stories inspired by real life situations to be selected for publication in an anthology. It was thrilling to win and I'm looking forward to getting published with them. Ans:Contests are the way publishers are roping in new talent these days. Having won two of them and got a publishing break through both, I'd say they are a great opportunity for writers. Just one should read the guidelines very, very carefully and obey the rules to the letter. 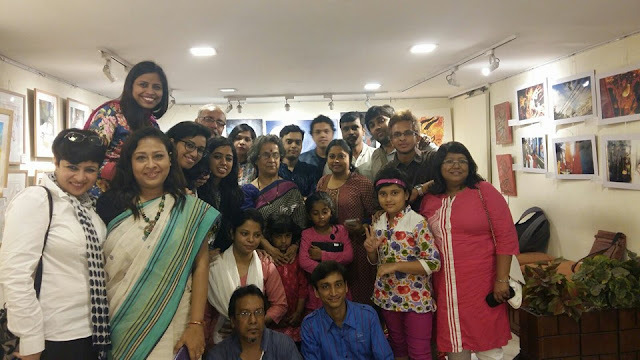 Harlequin holds the Passions contest every season for aspiring Indian authors. Right now this is underway. The last date to submit is 25th Jan, '14. You can check out the details on Harlequin India website. 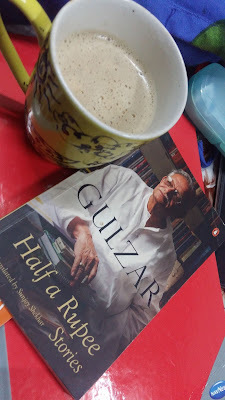 Ans:If you sell to a renowned publisher and get a great contract, you can earn well but if you think one or two books will land you in the lap of luxury, then no! You're sadly mistaken if you presume that! Writing is a job like any other and you have to work at it and be consistent. It's probably tougher than most jobs because there are long hours but no paycheck at the end of every month to look forward to, in the beginning. When you sell your first work, it feels as though you have arrived but it's not so. Be prepared for your expectations and your pride to take a lashing. But stick in there - if you really want to succeed - and gradually you will see results. Since publishing world makes a snail look like a jet plane as far as speed is concerned, you'll need loads of patience. Make sense of what makes successful writers successful and try to work out those principles. It might help. Ans:It all depends on the story and the characters. All Mills and Boon are not explicit. Take my book for instance. Mills and Boon have many genres and allow the authors free hand in writing what they are comfortable with. For myself, I leave it to the characters. That said, when you're writing a love story, you have to show some sensuality to make the emotions convincing. Ans:Awesome, absolutely out of this world...I could add more superlatives here because I'd have to use many to describe what I felt. Hearing genuine appreciation from a reader who has harmonized with your work is very rewarding indeed. It's a feeling hard to beat. Ans:Getting published is tough. I know so many authors who are writing, taking care of families as well as tackling a job. I salute all those writers and get inspired to do more by their example. As for writings, my favourite are Agatha Christie's whodunnits and Georgette Heyer's timeless Regency novels. Q19: Few words for Being bookworms and for me? 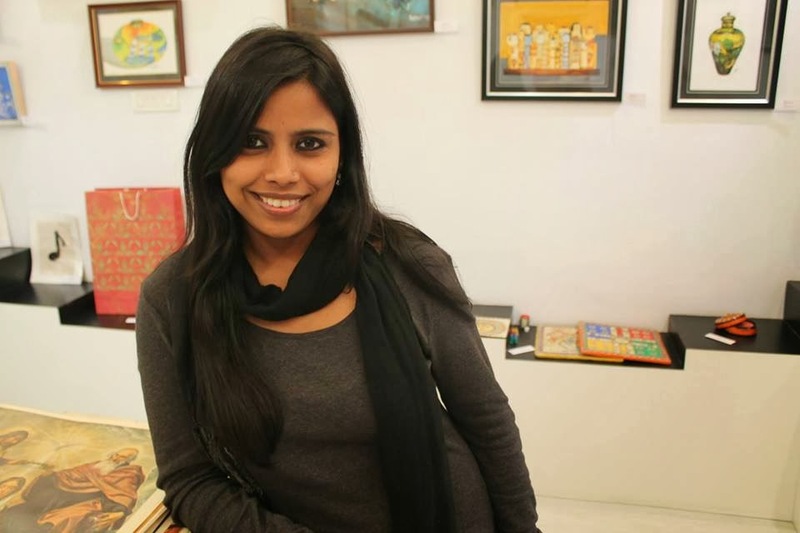 Ans:Being Bookworms is a praiseworthy project started by the multi talented Sufia Khatoon. She is artistic, devoted to charity work and dedicated to supporting readers and writers. Being Bookworms is an effort to bring readers and authors together and promote good readership. I congratulate Sufia on her work and wish her the best for future.